There are plenty of options for turning your regular AC outlet into a smart plug, and you might even be able to turn it into two smart outlets with the right solution. The latest smart plug from TP-Link's Kasa brand is much bigger. The HS300 power strip offers six smart outlets, all controlled via the Kasa app or your favorite voice assistant. The product is pretty straightforward for those with a passing familiarity with smart outlets. You plug in the power strip, and your one dumb outlet becomes six smart ones. Each plug on the power strip is managed independently, so you can give each one a name, assign schedules, and turn it on or off without affecting the other plugs. The app also logs how much power each of those plugs is using. In addition, you have three USB ports that can output up to 2.4V. You can control the HS300 from the existing Kasa app, but there's also support for not one, not two, but three voice assistants. Connect your Kasa account, and you can control all six outlets via Google Assistant, Alexa, or Cortana. Yes, the Microsoft assistant that basically no one uses. The Kasa smart power strip is available for purchase via Amazon starting today, priced at $$79.99. San Jose, Calif. – Sept. 13, 2018 – Kasa SmartTM by TP-Link®, a leading consumer smart home brand, today introduced the Kasa Smart Wi-Fi Power Strip, a smarter way to control and charge multiple devices while at home or on the road. The new power strip also comes with ETL certified surge protection, which safeguards devices against sudden power surges that can occur during weather storms and cause irreparable damage to appliances. 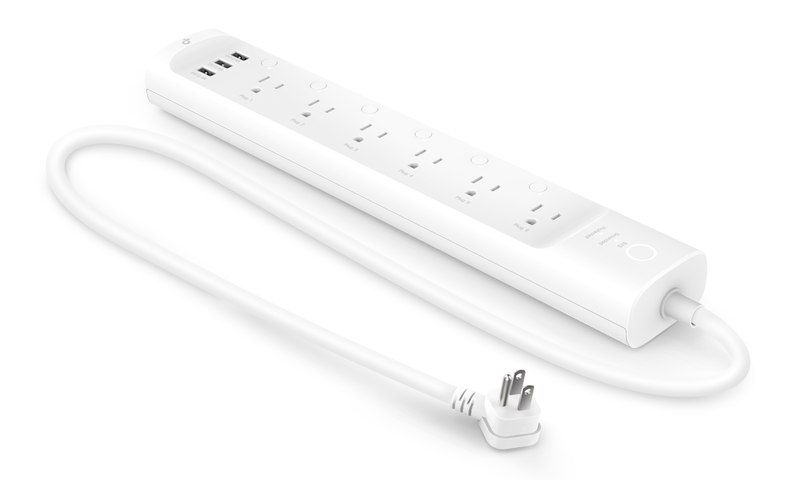 The Kasa Smart Wi-Fi Power Strip is available for order September 13th on Amazon.com. 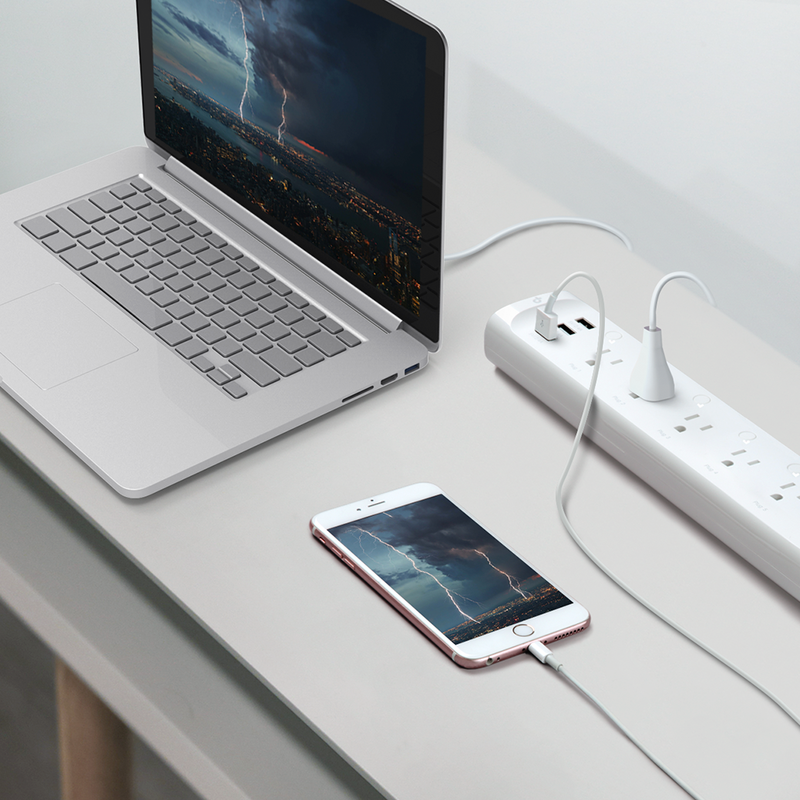 With independent control of six devices and three USB ports to charge three others, the Kasa Smart Wi-Fi Power Strip is ideal for family rooms, home offices or small business, enabling you to power up electronics remotely using your existing home Wi-Fi network. There is no need to struggle with finding multiple outlets. You can simply plug all of your devices into one smart power strip and remotely turn them on from anywhere with the Kasa Smart mobile app. You can also monitor the energy consumption of each device connected to the power strip through the Kasa Smart app. By staying in the know on how much power each device is using, you can turn off products that are consuming too much power, thus saving energy and better managing your electric bill. The Kasa Smart Wi-Fi Power Strip is compatible with various voice assistants, enabling you to remotely control the power strip using voice commands with Alexa, Google Assistant or Microsoft Cortana. Additionally, the Kasa Smart Wi-Fi Power Strip lets you set schedules for your devices so you can automatically turn on and off throughout the day. You can even group devices together and easily control them all at once. The Kasa Smart Wi-Fi Power Strip is available at Amazon for $79.99 USD.